Stocking Filler Ideas For YouTubers – Christmas Gift Guide 2018 // Cheap gift ideas for YouTubers for this festive season. 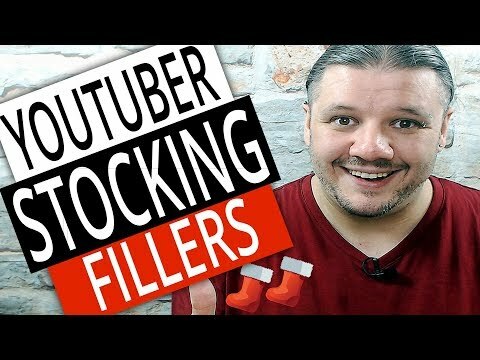 Are you looking for YouTubers stocking fillers? Maybe some secret santa gifts. This gift guide will make your gift giving easier this holiday season. Looking for present ideas for YouTubers? This YouTuber Gifts guide should help you find something special for the video maker in your life. Main Christmas gifts and even birthday gift ideas for youtube video makers. Christmas is just around the corner and you may need a little help in thinking of a gift for your boyfriend, girlfriend, sister, brother, mother or dad that makes YouTube videos. This video should help you with the big purchases that you might want to invest in for the holiday period.